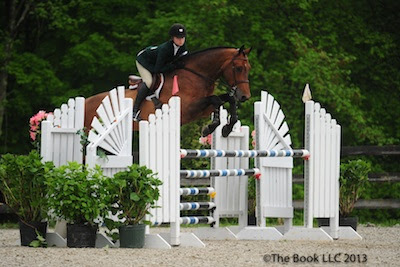 Two-time Olympic gold medalist Beezie Madden leads a full line-up of top riders at Old Salem Farm Spring Horse Shows. Photos copyright The Book LLC. North Salem, NY – May 1, 2014 – The Old Salem Farm Spring Horse Shows look forward to welcoming some of the world’s top horses and riders to compete in their 32nd annual competition this year with two weeks of exceptional equestrian sport on May 6-11 and May 13-18 at Old Salem Farm in North Salem, NY. The shows feature over 130 hunter and jumper classes each week, bringing together top competitors, including Olympic show jumpers, from across the country to compete for almost $500,000 in prize money. 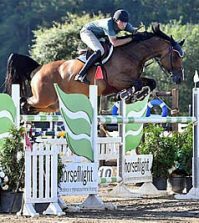 The Old Salem Farm Spring Horse Show’s USEF 6* rated jumper section includes world-class international competition as well as open, junior and amateur-owner jumpers. 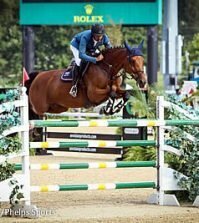 Jumpers will compete over courses designed by Brazil’s Guilherme Jorge and Ireland’s Alan Wade. The open jumpers will feature an impressive roster of top competitors this year, including several Olympians and top international riders. The expected line-up includes: McLain Ward, Beezie Madden, Leslie Howard, Brianne Goutal, Nick Dello Joio, Kristen Coe, Candice King, Georgina Bloomberg, Chris Kappler, Peter Leone, Paul O’Shea, Mario Deslauriers, Jimmy Torano, Danielle Torano, Jeffrey Welles, Darragh Kenny, Peter Lutz, Mattias Tromp, Kevin Babington, and Quentin Judge. Two-time Olympic gold medalist and 2014 FEI World Cup Finals winner Beezie Madden of Cazenovia, NY is excited to return to Old Salem Farm Spring Horse Shows. “I look forward to competing at Old Salem each year. It is a beautiful venue and really offers everything you need at a show to be able to compete and train while you are there. They work incredibly hard all year to make sure that the facility is exceptional, and it shows. It is also very nice to have such a great venue in our home state of New York,” she said. These star riders and their talented mounts will compete for fantastic prize money throughout the two weeks of show jumping action. 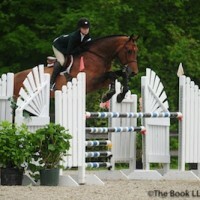 Each week the show will host two grand prix classes and other top competition. Week one will feature the $35,000 New York Welcome Stake on Friday, May 9, at 1 p.m. as well as the $50,000 Old Salem Farm Grand Prix, presented by The Kincade Group, Merrill Lynch, on Sunday, May 11, at 2 p.m. Week two will feature the $35,000 Grand Prix of North Salem on Friday, May 16, at 1 p.m and the $100,000 Empire State Grand Prix, presented by The Kincade Group, Merrill Lynch, on Sunday, May 18, at 2 p.m. Jumper fans can also watch the $20,000 Speed Derby of North Salem, presented by Miller Motorcars, on Saturday, May 17, at 2 p.m. In addition to a full schedule of USEF “AA” Premier rated hunter competition, a $10,000 USHJA International Hunter Derby will be featured on Saturday, May 17, at 4 p.m. A $5,000 Equitation Challenge, sponsored by Equifit, will be featured on Saturday, May 10. 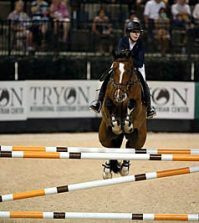 The class offers an exciting opportunity for juniors and young riders to compete in a two-round class on the grass derby field. For the Equitation Challenge, a special $5,000 Trainer Award will also be up for grabs. In the jumpers, a $20,000 Leading Jumper Rider Award will be presented upon the completion of week two’s competition thanks to Houlihan Lawrence. Old Salem Farm is also pleased to present a $5,000 Leading Hunter Rider Award for the rider that earns the most points in hunter divisions throughout the two weeks of competition. Kicking it all off on Sunday, May 4, The Old Salem Farm Spring Horse Shows will host their Welcome Day for the spring competitions. Welcome Day will offer competition in The Jockey Club Thoroughbred Incentive Program (T.I.P.) $2,000 Low Thoroughbred Hunter Division with prize money and ribbons from first place to sixth place. 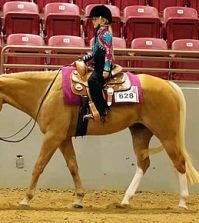 The Division will be held at 3′ and will consist of two over fence classes and one under saddle class. In addition to the T.I.P. competition, Welcome Day will feature a great schedule of hunter, jumper and equitation competition. Marshall & Sterling Adult Medal, Sore No More Medal, and Bit O’Straw Children’s and Adult Hunter Classics will be held. A Marshall & Sterling Child/Adult Jumper Classic will also be featured. There is plenty to look forward to in addition to the exceptional competition throughout the two weeks. An exhibitor party will be held on Friday, May 16, sponsored by Private Tutoring Services. The Canine Puissance will be featured on Friday, May 9, at approximately 3 p.m. Bring your dog out to compete for money and prizes in small, medium and large divisions. The “Year of the Horse” Art Gallery will be open to the public Wednesday-Saturday each week from 9-4 p.m., where local artists will exhibit their equine art, some from collections, and others for sale. Miller Motorcars will have a fun photo opportunity on May 13-18 from 9 a.m.-4 p.m. featuring a range of exotic models to view, including the McLaren, Aston Martin, Maserati and Rolls Royce. Don’t miss the chance to get your photo taken with these beautiful cars! The Old Salem Farm Spring Horse Shows also welcome many great local charities to their event each year and have some great activities planned throughout the two weeks. OSF enjoys the opportunity to support the efforts of their local charities and give them a platform to get their word out to the public. During week one, the Old Salem Farm Spring Horse Shows will be joined by Pegasus Therapeutic Riding, who will host an ice cream party on Saturday, May 10, from 3-4 p.m. The ice cream party is open to everyone with delicious ice cream generously donated by Ben & Jerry’s of Mt. Kisco, NY. Pegasus will also join the horse show with volunteers and will have some fun activities for kids on Welcome Day, Sunday, May 4. In week two another local charity, Wolf Conservation Center, will be on hand to spread the word about their mission and join in the fun of the horse show. They will host the ice cream party on Saturday, May 17, from 3-4 p.m. The party is once again open to everyone with ice cream generously donated by Ben & Jerry’s of Mt. Kisco, NY. Wolf Conservation Center invites everyone to visit their information booth on the weekend to hear about their conservation efforts. The local ASPCA will also be in attendance during week two. On Sunday, May 18, they will be visiting with their Adoption Van from 11-4 p.m. Throughout all of the competition, the VIP double-decker tent will feature fantastic seating with two levels of table options. Enjoy show jumping from the comfort of your Patron Table in the VIP tent, overlooking the Grand Prix Field. The VIP Tent offers you and your guests exciting upfront seats to the competition on Wednesday to Sunday. Patron Tables will be offered in two sizes: 8 seats in the front two rows ($5,000) and 4 seats in the back rows ($3,000). Corporate private chalets are also available in the upstairs dining area. Pricing and additional information can be viewed on our website: www.oldsalemfarm.net. To order your VIP Patron Table, call Alix Nimphius at (914) 669-5610, ext. 204. This is a great way to gather your friends and family together for a day in the country! When you are not watching the competition or enjoying the many other fun activities, Boutique Row features all of your shopping needs with a wide selection of goods, from clothing and jewelry to antiques and horse equipment! If you can’t make it to the competition, several of the big events will be live streamed online for everyone’s viewing pleasure. The $50,000 Old Salem Farm Grand Prix on May 11, the $10,000 USHJA International Hunter Derby on May 17, and the $100,000 Empire State Grand Prix on May 18 will all be broadcast on the USEFNetwork.com presented by SmartPak. 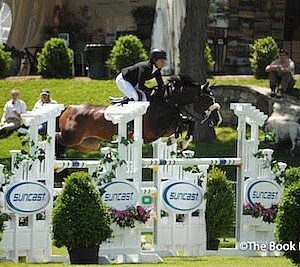 You may watch these events LIVE as they happen at www.USEFNetwork.com or www.oldsalemfarm.net. Old Salem Farm and Old Salem Farm Spring Horse Shows are on Facebook – like their pages to stay up to date, see photo galleries, and more! Old Salem Farm has joined Twitter and Instagram too – follow us to see exclusive photos and videos, let us know what you like about our events, and share your experiences.